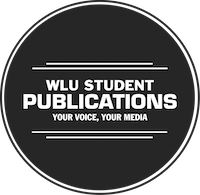 The Production Team is responsible for the creation of all radio advertisements from our sponsors, creative public service announcements, promotional materials for Radio Laurier and WLUSP and station identifications â€“ all to be aired on Radio Laurier. Production Assistants also help create and edit pre-Â­â€recorded content. For example a PA could help a DJ edit an interview with an artist, or create a podcast. The time commitment for this position is approximately 5 hours a week. All applicants will be contacted via email for a short informal interview.